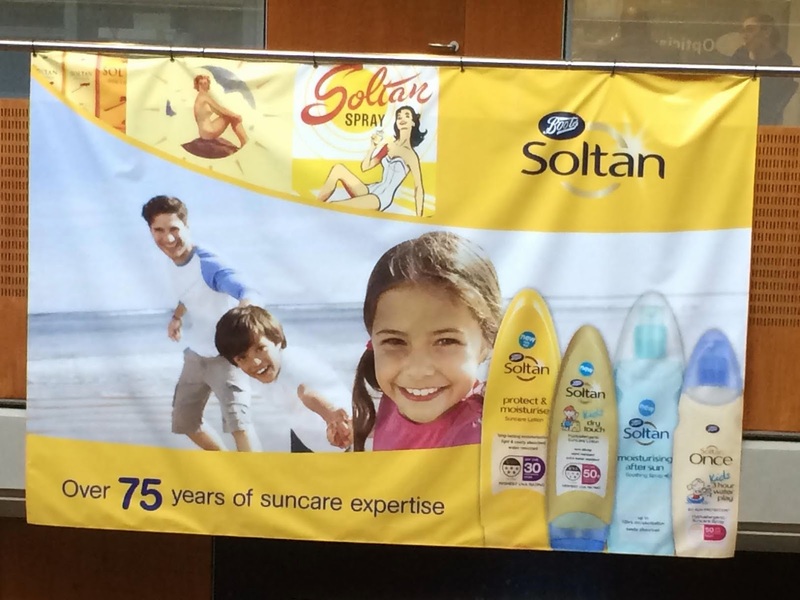 I keep walking past a huge poster advertising Soltan. I don't generally scare easily and I'm not inclined to believe in the supernatural, but I've got to be honest with you here: this particular poster gives me the heebie-jeebies. If I was holding a casting call for an advert like that, I fairly sure that I wouldn't be looking for the spawn of Satan to stare demonically out of the poster, transfixing passers-by with that sulphurous gaze. She's smiling, yes.... but she's smiling because she can see through you to your very soul and is planning an eternity of torture in the deepest circles of hell. Look at how the sheer terror on the faces of the other figures in the poster; see how they're trying to pull away from this demon spawn but are held by some dark, diabolical force. Soltan / Satan. Even the product name is suspicious. Hiding in plain sight, perhaps? Who really makes this stuff and what's their agenda? Do they really want to protect our skin from the rays of the sun so that they can better roast it in the fires of the underworld for all eternity? It's not just me, right? It's all there in that poster. Surely you can see it too? No? Look more closely. Take a deep breath and let go your preconceptions. Look behind the obvious and pierce the curtain of lies.